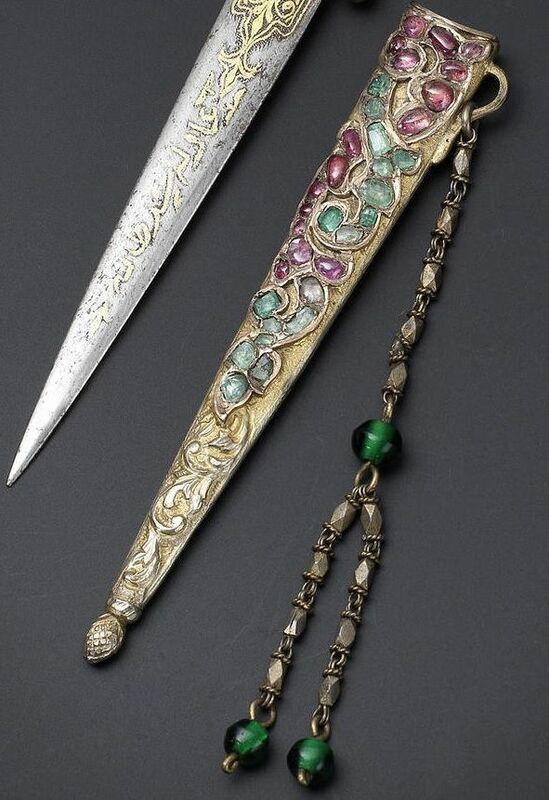 An Ottoman gem-set parcel-gilt miniature Dagger with the tughra of HIH Princess 'Adile Sultan (1825-1898)Turkey, 19th Century. 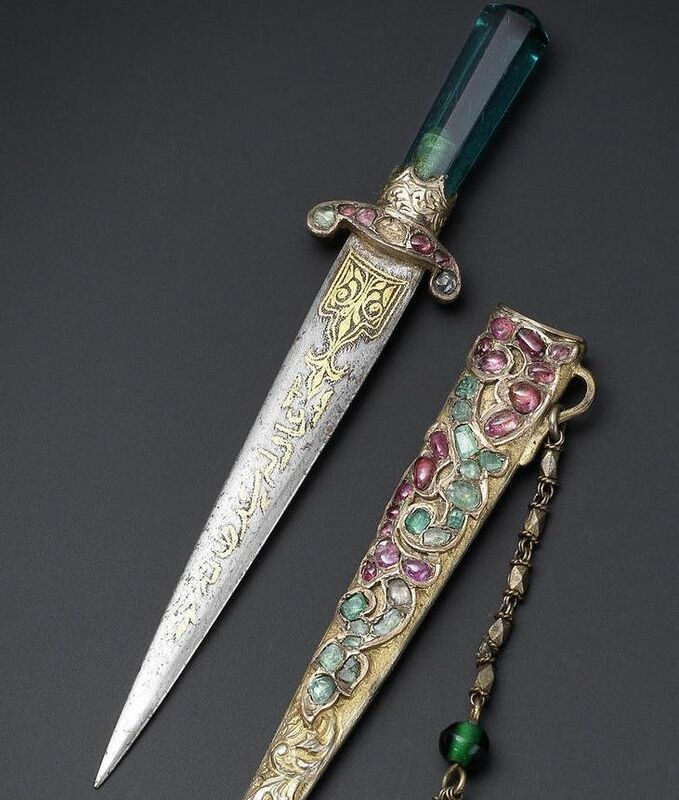 The dagger with green glass hilt, the quillons set with rubies and emeralds, the gold damascened blade with an inscription, the gilt scabbard set with further rubies and emeralds and chased to depict a trailing vine, verso with a trailing vine and scale design chape, the suspension loop with a chain with faceted sections and green glass beads, in original fitted velvet box with tughra (rubbed), one stone deficient. 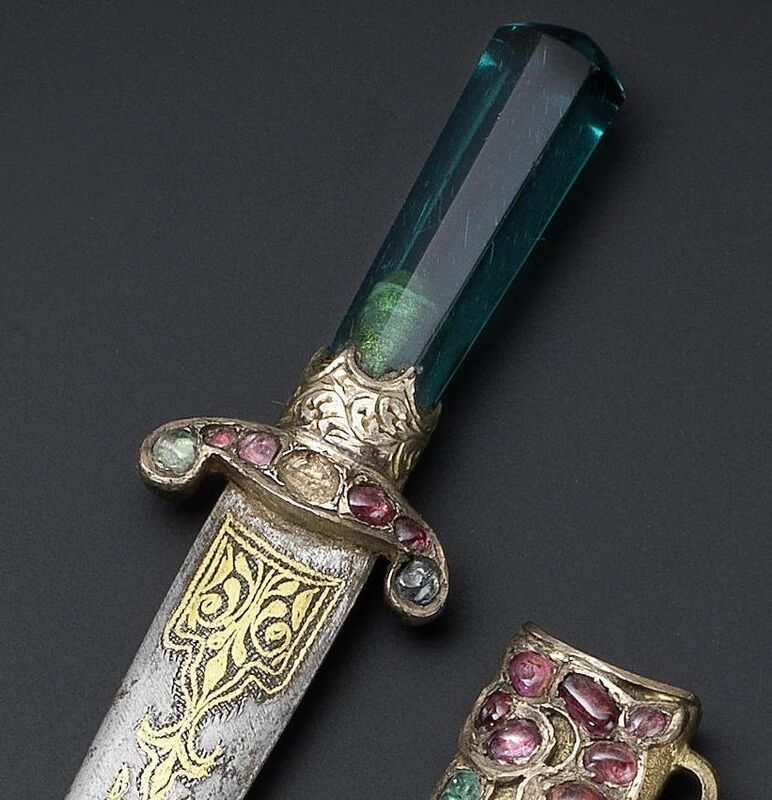 This miniature dagger is based on a 17th Century prototype, an emerald-hilted example of which can be seen in the collection of Topkapi Saray, Istanbul, inv. no. 2/ 152 (published in Istanbul. The City and the Sultan, Exhibition Catalogue, Amsterdam, 2006, p. 146, no. 225). Princess 'Adile Sultana (1825 -1898) HIH Princess 'Adile Sultana (Turkish:Adile Sultan) was the daughter of Sultan Mahmud II (1785-1839) and sister of the Sultans Abdulmecid I and Abdulaziz. She was an Ottoman princess, a renowned female Diwan poet and a philanthropist. Born in Constantinople, Adile Sultana lost her mother at a very young age, and was raised by Nevfidan Kadın, the chief sultana in the palace. She received a high standard of education and was, like her father, very interested in the arts. In 1845, Adile Sultana married the commander of the fleet Kapudan-i Derya Mehmed Ali Pasha, who served briefly as Grand Vizier to Sultan Abdulmecid (1823-1861). She lost her three children and later her husband in 1868. In deep mourning, she entered the order of Naqshbandi and devoted herself to charitable activities before her death in 1898. She was interned in the mausoleum of her husband in Eyüp, İstanbul. Adile Sultana's literary works were as successful as those of Leyla Hanım and Fıtnat Hanım, two renowned female poets of her era. However, her works are important as they shed light on palace life and the administration of the Ottoman Empire. 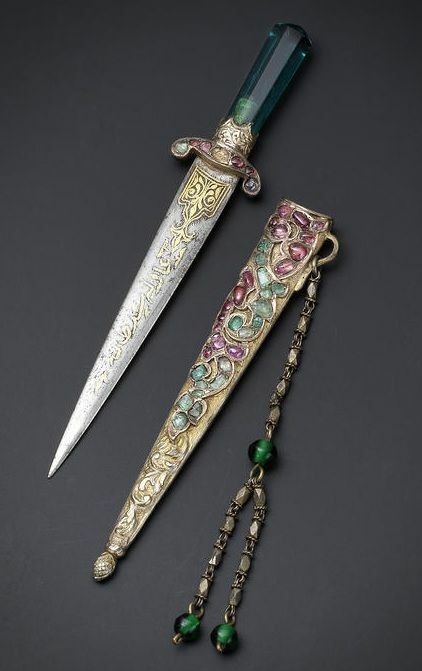 She composed a poem about the murder of her younger brother Sultan Abdulaziz (1830-1876), officially deemed a suicide. She also assisted in publishing the printed version of the Divan of Suleyman the Magnificent (1494-1566). A compilation of her poetry 'Adile Sultan's Divan was published in 1996.